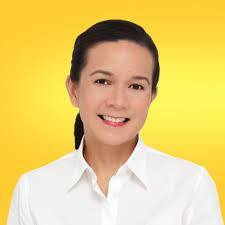 With the passage of the new Sangguniang Kabataan Reform Law, Sen. Grace Poe lauds the measure which will instill the restoration of integrity and will harness the system allowing youth participation in the governance process. President Aquino signed into law Republic Act 10742 otherwise known as An Act Establishing Reforms in the Sangguniang Kabataan, Creating Enabling Mechanisms for Meaningful Youth Participation in Nation-Building and for Other Purposes. “Truly, the passage of the SK Reform Law promises a new beginning for the members of the younger generation, that they are at the forefront of nation-building”, highlighted Poe, Vice-Chair of the Senate Committee on Youth. Among the salient provisions include the Anti-Political Dynasty provision where elected and appointed Sanggu-niang Kabataan officers must not be related within the second civil degree of consanguinity or affinity to any incumbent elected national official, incumbent elected regional, provincial, city, municipal official in the locality where he/she seeks to be elected. Article II, Section 26 of the 1987 Philippine Consti-tution stipulates that the State shall guarantee equal access to public service and prohibit political dynasty as may be defined by law. This should level the playing field for potential leaders, especially the youth, who do not have the family, resources and oppor-tunities to be able to secure their mandate to serve as youth leaders in the barangays. Along this line comes the guarantee that there is hope for stronger political party system and platform-based campaigns. It also brings hope for the poorest provinces in the country which are ruled by dynasties.